CNC machining and component fabrication for prototype and small production runs in addition to mechanical assembly services. 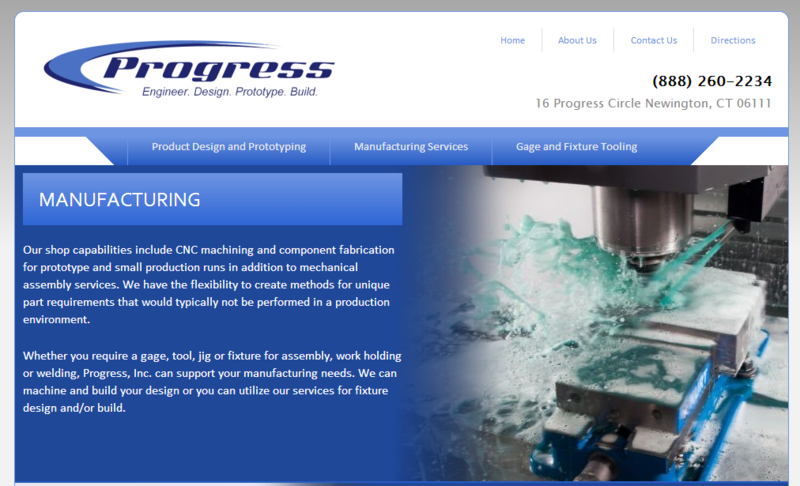 Progress Inc. has the flexibility to create methods for unique part requirements that would typically not be performed in a production environment. Whether you require a gage, tool, jig or fixture for assembly, work holding or welding, Progress Inc. can support your manufacturing needs.